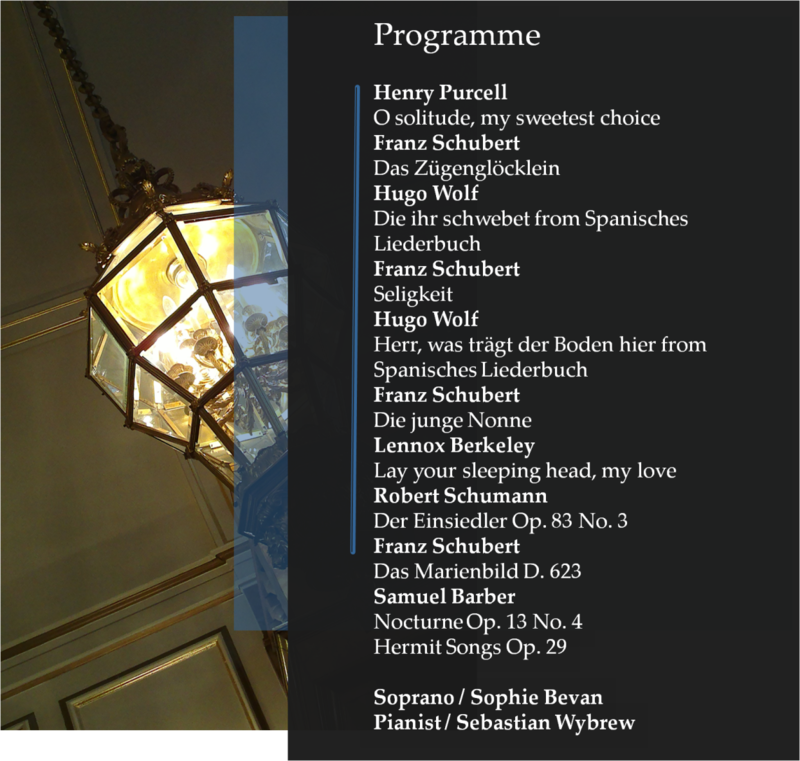 A short form hour-long Wigmore Hall recital is a great way to see new artists taking their first steps on the platform. Sophie Bevan has graced that very stage as a solo artist, soloist in a couple of operas and oratorios and with her vocal group The Myrthen Ensemble. She is currently touring with the Welsh National Opera’s absolutely fantastic Cunning Little Vixen and this recital was an absolute joy and seeing the Hall sold out was a very good signifier of her power to attract, retain and grow her audience. Her stage presence had a suavity and natural charm that was totally disarming. Little cheeky glances at Sebastian Wybrew, her pianist, were a clear indication of how much in cahoots they were in this programme. The recital was centered around Samuel Barber’s Hermit Songs the sparkly set of songs based on poetry by Irish monks and religious scholars from the 8th to the 13th century. The cycle was famously written for Leontyne Price and was premiered and recorded in 1953. The ebb and flow of mood from the whimsical to the demonstrative is a reflection on Price’s personality and one way to deliver them in the most natural, unforced way is to share a fun loving personality and a natural ease on stage. 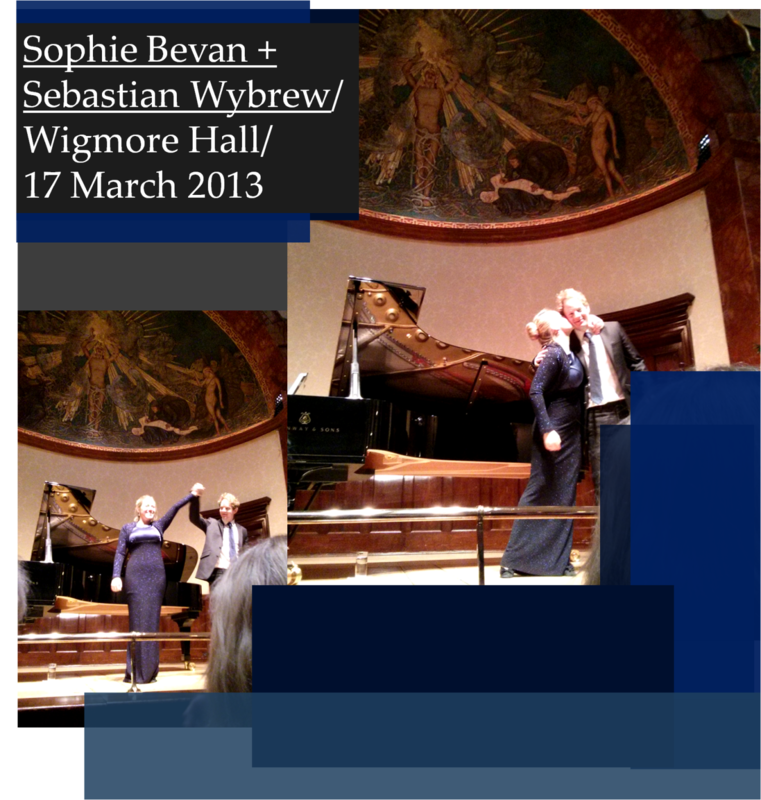 Sophie Bevan showed true class, singing with riveting intensity and full throated staccato passages. The change of atmosphere between The Heavenly Banquet and The Crucifixion was negotiated with a charming little glint in the eye when the audience laughed at the end of the first song and a swift withdrawing into herself for the esoteric nature of the second. In Promiscuity her expressive use of gesture and sharp, playful sideways looks to the audience added to the menacing effect of her crisp delivery, but with her underlying charm adding a sweet addendum. In The Monk and his Cat she displayed plush phrasing and natural warmth. A song that can seem silly they managed to give it a heartwarming, deliciously wholesome colour on par with the recording by Price and Barber. The play on dynamics and a sense of wistfulness when coupled with such playful piano playing realises the full potential of the composition. The rest of the programme was a great display of beautiful and amply powered singing. The opening Purcell was enchanting, full of colours and delivered with incredible assurance and self-contained melancholy. It felt like a private moment of reflection with the leisurely tempo allowing for this complete unfolding of this exquisite song. A fiendishly difficult opener but a towering achievement of honesty and inner life. The following numbers by Schubert, Wolf and Berkeley were very powerfully sang despite the fact I wish they allowed for more temperamental variation in reflection of the variety of moods in Hermit Songs. Any singer that can pull off such a powerful, glistening Purcell and then move on to a dark and brooding Herr, was trägt der Boden hier is surely a very special artist. I will not harp on any longer, but hopefully you get my drift that Sophie Bevan is the real thing. A very intelligent, versatile performer that brings beauty and theatricality to everything she does. I would urge everyone that can make her Vixen performances or her upcoming Royal Opera Pamina to not miss out. This is a special voice that is growing in both breadth of repertoire and flourishing in terms of technique and presentation. It gives me immense pleasure to get out there and support great talent of my own generation. Especially when the rest of the audience is as enthusiastic and loud in its approval as yesterday.